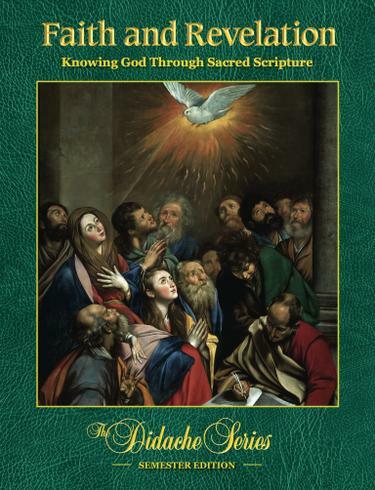 This book, Faith and Revelation: Knowing God Through Sacred Scripture, corresponds to Book I: The Revelation of Jesus Christ in Scripture in the curriculum framework. This book explores the relationship and complementarity that exist between human reason and Divine Revelation. It focuses on what Catholics believe, why they believe it, and why it is reasonable to believe it.